Remote Energy and Spiritual Healing for your Pet! 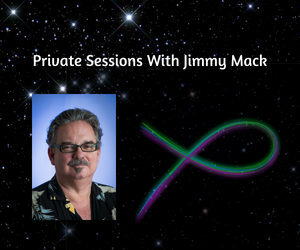 I have been in the healing, energetic, spiritual, psychic world for over 25 years. I came from a very Western traditional medicine family, but I always sensed that there was something more. I have found over time that working with the human, very often their pet friends can exude the same diseases and disorders as their human family is displaying or experiencing. In short, when we can work on either the pet or the human, often both shift in a positive manner. I have work/played with a variety of animals and have had incredible results in changing and shifting conditions, diseases and disorders that were once considered incurable. I often like to say, your results may vary! And “there are no guarantees” but for those who have furry family members who have been written off by western medicine or who just need a basic tune up, miracles can and often do show up. I can also assist with end of life transitions for your furry beloved. "These are the before and after pics of Merlie after you worked on her. Merlie had a severe allergic reaction to something when we visited my brother in TN the week before. 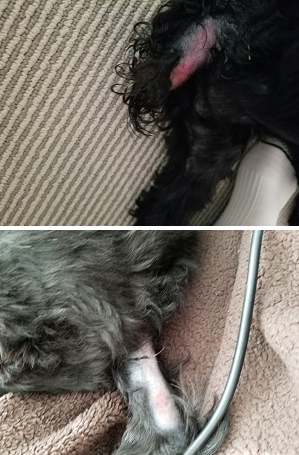 She had been taking antibiotics for a few days and nothing was changing and then you worked on her through me and the bottom picture is the after is the very next day. I didn't believe it at the time you were working on her, she was on the other side of the room from me and was yawning the whole entire time. She has not ever done that before. You are in Tampa and I am in Jacksonville (3.5 hours away - at least how I drive...lol) You were working on her over the phone, location does not matter." "Jimmy Mack is great for what ails your pets too! My beloved Suki fell off a seawall, and thankfully I was able to jump in and rescue him. We were both shaken, panicked, and traumatized by the incident. Jimmy was able to quickly release it all from our energy, and Suki and I were calm and well within a very short time. Whenever there's something amiss with Suki, I call Jimmy because I know he's able to help. I highly recommend Jimmy!" "Jimmy, Paris has not peed in the house ONCE since our consult. This is a dog that only ever peed in the house and had to be kept on the tile only. She is now on the carpet! She is very much back to normal and looks so much healthier! You are wonderful." "My little girl Pink was lost in Largo by my ex husband on a Monday. My first call was to Jimmy Mack who immediately started working on her safe recovery. He said he saw her with a man. It was later learned she was picked up on 49th street just south of ulmerton road by a homeless man who traveled around the corner to ulmerton rd where he put her back in the street. She then crossed the 6 lanes of ulmerton road to find shelter behind a building surrounded by chain link fencing. Jimmy accurately predicted that I would get her back by the weekend, which at the time seemed impossible. A group of hard working men noticed her on Wednesday , they began feeding her & trying to trap her. They were successful on Saturday , and I got her back that day. She was in such bad shape that I believe she would not lived one more day. It's simply a miracle that I credit Jimmy with. Pink & I are forever grateful to him!" Thanks for giving me back my favorite girl! 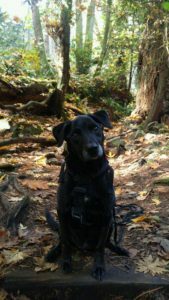 Kash, (my 9 year old black lab), was in rough spot, prior to your working with her. She has some arthritis and tummy issues, which are all completely cleared, thanks to your new diet and natural supplement plan, tailored specifically for her! Kash has her awesome, playful energy back, with no limping and trying to eat mounds of grass every day. Kash and I are so grateful for all the time you spent with us!" Thank you and Ruff! Ruff! 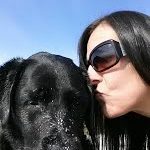 "My 7.5-year-old dog Casey (a Coton de Tulear) experienced his third bout of debilitating back pain in March 2013 accompanied by the blood-curdling screams and screeches that preceded disc neurosurgeries in April then August 2012. I chose to pursue only alternative treatments for this episode. Failure meant letting Casey go, a traumatic and bitterly painful possibility. The veterinary acupuncturist was very helpful, but exhausted his extensive toolkit. Casey continued to exhibit bouts of horrific pain. 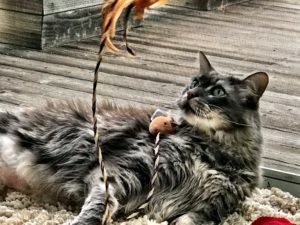 I had recently experienced Theta Healing to be extremely powerful and read about its success with pets. In my panic and refusal to see “vets with knives,” I Googled “theta healing pets.” Jimmy Mack’s web page was among the few in the match list and I was immediately drawn to it and him. For a fraction of the cost of an MRI and with incalculable gain, Casey is a pain-free, happy, active, bouncy dog (yes, back to his demanding and oft-whiny self, but I’ll take it! ), has released trauma from his puppy mill origin, knows what it means to be a dog, and has agreed not to take on and mirror back “my stuff” anymore. Dog Whisperer Cesar Millan says, “You don’t get the dog you want, you get the dog you need.” The converse must likewise be true, “You don’t get the human you want, you get the human you need.” Casey and I are evidence of these statements, as Jimmy worked with Casey’s human to bring balance and healing to this divinely ordained relationship and to each of us individually. Last night was wonderful! Both Cody and Daisy had lighter energy afterwards, and the concerned furrow that was always between Cody's eyes disappeared. He's had a tendency to tilt his head down a bit and look out the top of his eyes, and now his gaze is straight on and happy. Daisy is moving more easily and came up several times last night to get pets. As rescued dogs, they both came from sad backgrounds and carried physical and emotional scars. Thank you for working with them - I really see a difference!" “Hi – for those of you reading this – know that animals can communicate when they are ready to stay and when they are ready to transition from their earth life. 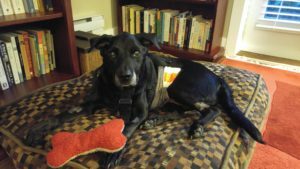 I have two stories to share – a dog and a cat story. They were both old and had wonderful lives. Our dog Hannah was a yellow Labrador Retriever. We got Hannah as a puppy and she was with us for 16 wonderful years. Toward the end as she began to slow down and was a little unsteady walking, I worked with Jimmy and we did healing work and Hannah was with us for many additional months. But in May, when we knew she was ready to transition, I worked to Jimmy to relieve her fear, to give her love, and to know that she would always be loved. A wonderful lady with PETS AT THE END came to our home and allowed Hannah a painless transition. I tell you this story because for our cat MOUNTAIN the scenario was different. She had always been a shy cat. She was also 15 years old because she and Hannah joined our family the same year. Finally, I asked Jimmy – I just did not think of it before – to check in on Mountain. She was just plain scared of EVERYTHING. After her “session” she would sit on my lap and it was like night and day! I knew that she was not well this summer and I had a session with Jimmy one Saturday morning and we “checked in on Mountain”, I had been up with her all night and I knew she was sick. Jimmy worked with her and she was instantly better – her energy, she was eating again…she was just happy. Your pets will know that you are trying to help! “Jimmy, let me just start by saying how blessed I am that my friends decided to check out this “crazy guy” in Tampa a year ago. Being a long time seeker on the road toward what Socrates described as “know thy self”, I have experienced many different techniques on the path. It should have been a no brainer for me to realize what goes for us should be the same for animals and nature. After all aren’t we all one and the same? Running a “natural farm” you would think I would have known this. What a wonderful surprise to learn that the animals respond so easily to your combination of ThetaHealing® / Matrix Energetics/Access Consciousness. 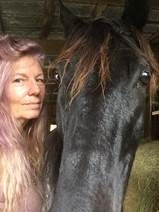 My animal communicator checked in with Shimmer yesterday and she did a body scan on his shoulder said it was completely held together with white light he no longer has the rotated coffin/pedal bone….and Nakita (playing Unicorn on the right) has released a lot of anger today……..much softer! Last week at this time, I witnessed my son cradle & carry our beloved dog, Dante, down two flights of stairs with tears streaming from his eyes. He’d just received a call from Boundary Bay Veterinary Specialty Hospital. Results from the tests were in. Dante needed surgery immediately. My son advised me to say my goodbyes because it didn’t look good. We loaded our dog into the truck. And while my son was readying himself, I had a quiet moment with Dante. I looked him in the eye and told him if he needed to leave us, he was free to go. But if he wanted to stay, I’d do everything in my power to support his journey. It wasn’t until they drove away, that I could feel Dante’s desire to live. It took the absence of his physical body for me to connect with his spirit because I was so emotionally entangled with the love I have for this dog. So, what was the first thing I did? I emailed Jimmy and said please add these prayers to my Daily Prayer list. Dante needs our help. I will never in a million years underestimate the reassurance that that simple act brought me. To know that Spirit has my back holds me upright when I’d rather topple over. And to know how to “fish” is a GodSend. If you don’t know how to pray in this day and age then you’re in trouble. I mean that most sincerely. It’s a spiritual technology that every human needs to use. 16 hours post op the doc asked my son to come in and help out. Dante wasn’t having anyone touch him or feed him or help him. The doc said what our dog needed now was to know the sun was going to rise in the morning and he needed to eat. My son fed him. Loved him. And I stayed at home and prayed for him all the while keeping Jimmy updated on our progress. 72 hours later Dante was home! Day 5 Dante lifted himself up onto the sofa bed where my son is camped out in the livingroom with him (stairs are an issue) and cuddled up next to the love of his life. Today is Day 7 and it’s my son’s 21st birthday. And it’s the happiest day of our lives! Thank you, Jimmy. Daily Prayers is the most useful, immediate and inspired service and my family is infinitely appreciative! And thank you also to our community of FisherWo/men (can I call us that?) for this beloved family of awakened and helpful humans. NEVER underestimate the power of love and prayer! Blessed BE. My Cat Angel has been diagnosed with Kidney Lymphoma with very poor prognosis ( 3-6 months to live with chemo therapy ) After Angel’s diagnose, we have decided to go with chemo knowing the fact there are some side effect we will have to deal with and the prognosis is not good. But, we would really like to gave Angel a chance for life. 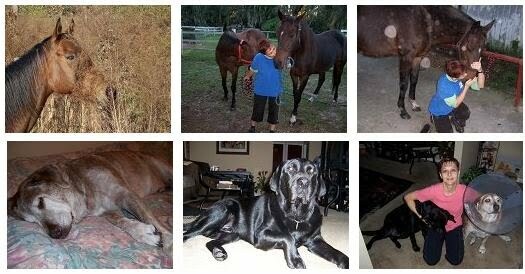 At same time, while Angel is going thru chemo, I have incorporated a holistic vet , as well as energy healer practioners to help facilitating with Angel’s healing. Jimmy is truly a God sent in term of his work. He is extremely intuitive and compassionate healer, in his eye, all living beings are created equal, and he held great deal of compassion for animals, and reach out to me at my first cry of help. You can feel his kind heart and intention when you talk to him. The first time he worked with Angel, and he told me that Spirit whispered in his ear, that Angel will reach remission and he still got three and half year to go in his life. Even right now, it has only been 2 months since Angel’s diagnose, I really have no idea if it will be the case, but his words gave me such shot of hope and gave me courage to have faith moving forward with Angel’s treatment. His work with Angel is always very simple and he helped to guide me on this healing path, knowing what to do and how to do it. 3 weeks into Angel’s chemo treatment, Angel had bad accident and tore his left knee ligament, my poor baby was in a lot of pain, and I reached out to jimmy for help and he told me it will take 3 weeks for Angel’s knee to recover, and he guided me on what kind of product to get for Angel to facilitating the healing. Now , 3 weeks later, Angel’s knee has indeed recovered as what he initially told me. And the even better news is after 6 weeks of chemo , Angel has already reached remission indeed, his doctor was so pleased with the progress he made. Right now, my Angel still need to complete the treatment in chemo and there are still challenge of the side effect of the chemo, but it is a great comfort to my heart knowing Jimmy is there for help. I am very grateful for his help and bless his heart !